Thank You for your interest in employment opportunities with Great Hill Dental Partners. Our Staff = Our Success! We attribute our success to the talented, caring Great Hill Dental professionals who make every patient’s visit to one of our office locations the most pleasant and successful dental experience possible. Whether you work directly with patients or in our corporate environment, your skills and talents are what truly makes Great Hill Dental “Great”. 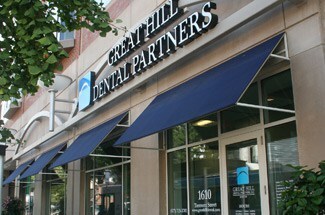 Great Hill Dental has five office locations – Boston, Peabody, Somerville, Braintree and Chelmsford. We offer a quality work environment where you will employ your skills, grow, learn, and work with other motivated, caring dental professionals. We are always interested in talented, motivated persons seeking employemnt in the dental industry. From dental assistants to hygienists to office personnel and doctors, we encourage you to send us your resume for consideration. Please submit your resume via email, to the office you prefer. Just click on the office below. Click the office below and send us your resume. Thank you! We look forward to hearing from you.